About this fellow's bad habit: I originally envisioned a lovely, well-intentioned camel, but as the sketch progressed, he seemed to just have a certain vibe. Cool and cocky, with fabulous hair, he needed but one finishing touch. 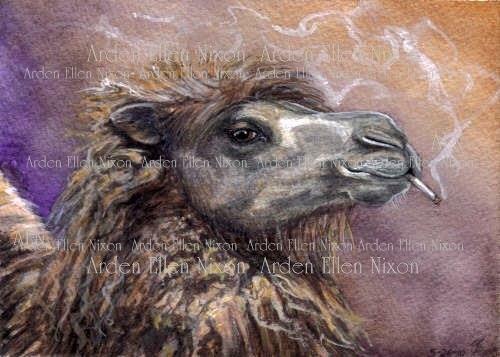 My pirate (for whom this was a gift) loves camels and is a smoker--you do the math.